City of Malolos, Bulacan — Vice Governor Daniel R. Fernando received on November 16, 2014 (Tuesday) the “Outstanding Local Legislator Award of the Philippines for 2014” given by Superbrands Marketing International (SMI) in recognition of the exemplary performance of legislators in the local government level. SMI Chairman Karl Maclean and SMI President and CEO Harry Tambuatco presented the recognition to Fernando, a former actor whose real name is Cezar Ramirez – at the Senator Benigno S. Aquino, Jr. Hall of the Provincial Capitol. “Although very much involved in his career as an entertainment personality, Vice Gov. 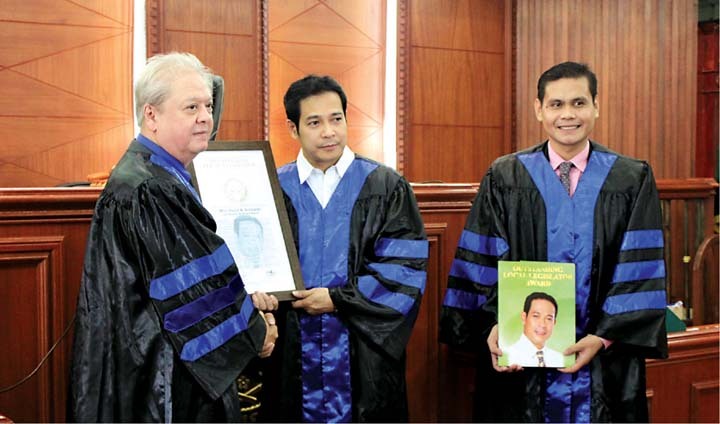 Daniel Fernando never let go of the chance to serve his fellowmen when he has the time and opportunity to do so as he always feels he can do more for his provincemates as a public official,” Tambuatco said. In his second term of office, this was the 10th award he received in the last three years aside from the Most Outstanding Public Servant of 2012 given by the Gawad Amerika Foundation, Inc., an organization of Filipino-Americans living in United States of America.